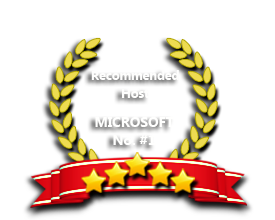 ASPHostPortal is the leading provider of Windows hosting and affordable ASP.NET WebPage 3.2. Our price starts from $4.49 per month. What is ASP.NET WebPages 3.2 Hosting? ASP.NET WebPages Hosting gives users a simple and powerful new way of writing ASP.NET apps. It is different from Web Forms as it does not use server controls. It is also different from MVC as it does not follow the MVC pattern. Instead, it follows a much simpler model, where a page is basically an HTML page with some code added where needed. In that sense, it is reminiscent of Classic ASP, but it is also very different in the sense that it has the full power of the .NET framework available behind it. It also supports concepts like layout pages (see below) which make it much more flexible than the Classic ASP. The ASP.NET Web Pages 3.2 RTM package has the following version: “3.2.0”. You can install or update these packages through NuGet. The release also includes corresponding localized packages on NuGet. The runtime features are released as NuGet packages on the NuGet gallery. All the runtime packages follow the Semantic Versioning specification. Host Your ASP.NET WebPages 3.2 Website with ASPHostPortal.com! Our support team is extremely fast and can help you with setting up and using ASP.NET WebPages 3.2 on your account. Our customer support will help you 24 hours a day, 7 days a week and 365 days a year. Our Windows Cloud Hosting fully supports ASP.NET WebPages 3.2 hosting. You are more than welcome to try our Free Windows Cloud Hosting before you decide to buy. You can get your Free Cloud Windows hosting account up and running within the next few minutes.